Many people fill their freezers to the rim with all kinds of food. Some are stocking up for the long, hard winter. Others simply like to keep extra food on hand. If your unit breaks down, you need help fast. You don’t want the temperature of your food to warm up into the danger zone. The danger zone is when bacteria begin to grow. Our techs offer same day freezer repair in Old Bridge, New Jersey. We will find the problem and fix it in no time at all. We are very pleased to offer fast refrigerator and freezer repairs service. Our specialists can service just about any refrigeration unit. Both of these units experience similar problems. Thermostats can go bad. Damaged seals and hinges can allow warm air to enter the appliance, which causes your unit to work harder. Faulty switches and blown fuses can stop your unit from operating efficiently. Dirty or damaged coils can also cause problems. A worn out motor often needs to be repaired or replaced. Appliance Repair Old Bridge can fix these issues fast. 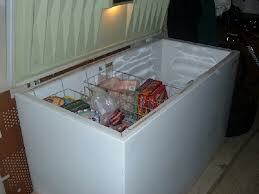 You can call us for superb residential and commercial freezer repair. Our experienced techs can fix all types of refrigeration appliances. We stay up to date on the latest technology. We start each shift by stocking our vans with quality replacement parts. Our objective is to administer superb service at a reasonable rate. You depend on your fridges and freezer units to operate efficiently at all times. Our number one priority is to make sure they do. We will also fix your residential or commercial icemakers. You never quite know when you will need Old Bridge freezer repair service. Problems can occur in the middle of the night and you will not realize it until morning. We offer same day service to take care of these emergencies. Choose Old Bridge Appliance Repair for fantastic repair service today!